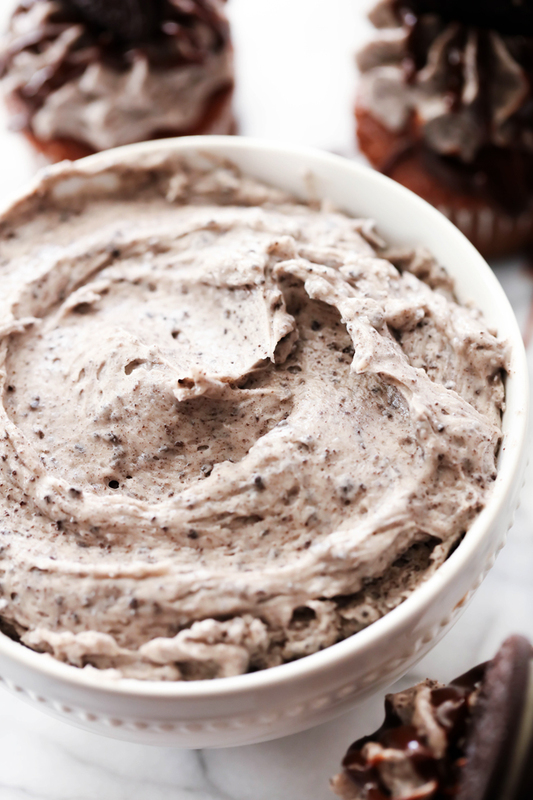 This Cookies and Cream Frosting is divine! It is packed cookies and is a perfect frosting for cakes, cookies, brownies, etc! It will become a new favorite! Combine butter, cream, powdered sugar, salt, and vanilla in a medium bowl. Mix until smooth and creamy. Add Oreos and mix again.